I once served as project coordinator for the Santa Barbara ADL's No Place for Hate Campaign. I was tasked with helping schools, congregations, businesses, etc. find ways to be educated about becoming places where hate was not present. Of course, hate is present in many places as seen in the recent attack on a gay nightclub in Orlando as well as the murders of church members in Charleston the year before. How do we create a world where hate no longer prevails? 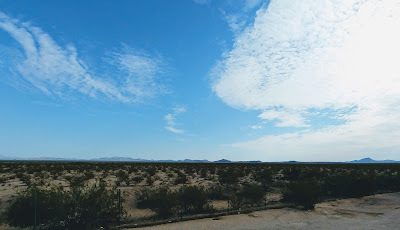 Martin Marty does some reflecting on these topics in this week's posting, which I would like to share with you. Take a read and offer your thoughts. Three week-end stories about mass murders help frame crisis issues. The first recalls the murders of nine blacks in and during church in Charleston, South Carolina, exactly one year ago by a white supremacist. (New York Times, June 16). The same paper, the same day, front page, dealt with “Young New York Muslims, Robbed of a Respite” because of anti-Muslim speech and actions after the mass murder in Orlando. The third, same day, in the Wall Street Journal, dealt with “Orlando Shooting Leaves Gay Survivors, Mourning Families Struggling with Secrets,” also by reference to the Orlando killings. Reporters, commentators, and the people they quote, reach for some reflections by others to guide their own. Mine were evoked by a sixty-year old (in my mind, classic) work on The Functions of Social Conflict, by Lewis Coser, who was commenting on still older work by German sociologist Georg Simmel. I have long and often used it to make sense of those who try to make sense of the Orlando killer and his mad motivations. People ask: Was he prompted by hatred of Muslims, since he quoted Islamic themes, or by hatred, perhaps mixed with self-hatred, of gays? Answer: yes. Both. What psychologists and, in this case, theologians and pastors alike are pondering: What is the root of the killing actions? Answer: hatred, of course, but we have to say a bit more than that. So I reread lines from Coser, imprinted on my mind. There is more, of course. In all cases, they had to turn those near to them into strangers—Simmel was savvy about that, too. Religious texts often deal with the subject; the Hebrew Bible and the New Testament Gospels, for instance, spend far more energy on how to have positive approaches to the stranger than to the neighbor or family-member. Haters either have to keep on finding new strangers to be “set up as targets,” or they have to convert those close-by into strangers. And those who turn out to be strangers demand new appraisals. In the biblical texts (and not in them alone), the means and the goal are to break down barriers—often based on ignorance—and to inspire love and care. Here is where the Wall Street Journal comes in. Jennifer Levitz and Cameron McWhirter focus on families struggling with secrets in the aftermath of the Orlando murders. These authors describe mourners, this time pictured in prayer, at worship, during commemorations, who found out only after their son or brother or sister died that their relative was gay “with Secrets.” The now-deceased could not share profound aspects of their lives full of joys and struggles with those closest to them—usually because these family members, often on religious grounds, would have rejected them or, in terms used by the WSJ column, would have hated them. Many of the week’s stories reflected positively on religious counselors and other leaders who have used the occasion to learn and teach more about the costs of hate and about the healing that comes with knowledge, honesty, plus frank and open dealing with the humans in front of them, and not the “targets” they set up. Whites and blacks, gays and straights, the pious and impious, Christians and Muslims, have their work cut out for them, but, at best, these new occasions can inspire them to seek and put to work new resources for dealing with them. Schwirtz, Michael and Chris Dixon. “Families Bearing Up a Year After Slayings in a Charleston Church.” New york Times, June 16, 2016, U.S.
Associated Press. “Mourners Recall Charleston Church Victims at Service.” New York Times, June 17, 2016, U.S.
Robbins, Liz. “Orlando Killings Rob Young New York Muslims of a Cherished Holiday Respite.” New York Times, June 18, 2016, N.Y. / Region. Levitz, Jennifer and Cameron McWhirter. “Orlando Shooting Leaves Gay Survivors, Mourning Families Struggling With Secrets.” Wall Street Journal, June 17, 2016, U.S.
Park, Haeyoun and Laryna Mykhyalyshyn. “L.G.B.T. People Are More Likely to Be Targets of Hate Crimes Than Any Other Minority Group.” New York Times, June 16, 2016, U.S. Conflict Research Consortium Staff. “The Functions of Social Conflict.” Summary ofThe Functions of Social Conflict, by Lewis Coser. Conflict Research Consortium. Accessed June 19, 2016. 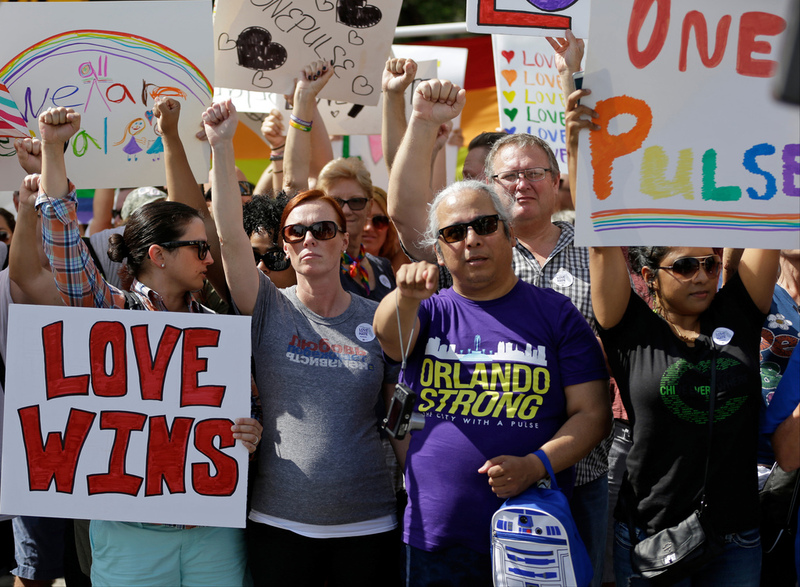 Image: Demonstrators show support and solidarity near the funeral service for Christopher Andrew Leinonen, one of the victims of the Pulse nightclub mass shooting, outside the Cathedral Church of St. Luke, Saturday, June 18, 2016, in Orlando, Fla. Credit: John Raoux / AP Photo.